Since 2007, the number of people moving home has halved. There has been a real economic downturn and it is increasingly difficult to sell a property. But there is a solution to improving your present home. You can build your own extension and avoid Stamp Duty, which you can use towards your extension costs. You can also avoid the worry of wondering how long it would have taken to sell your own property. A year is not a long time for a property to be up for sale. Here are some tips to help you reduce your building costs for your new extension. Keep the design simple. As soon as you try to merge curves and corners you will increase the cost. So make the shape either a rectangle or a square. A simple pitched roof is cheaper, too. Use standard materials, don't choose anything fancy, and make sure these materials are easily available. Do not choose materials that have to be shipped in from another Continent. Using concrete block work for walls will make the job simpler. Avoid any groundwork for your extension that is near drains, or other underground services or even trees, if possible, as costs will increase here. Labour costs are extortionate, between a half and two-thirds of your budget. If you feel able to do some of the work yourself you will be able to save a significant amount of money on your extension. Tackle the easiest jobs like labouring or decorating or landscaping and then if you feel a little more confident consider fitting some kitchen units or skirting boards. 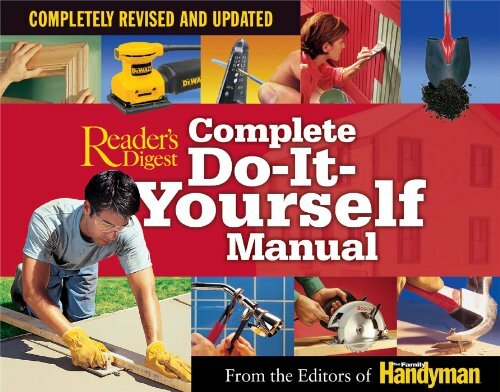 There are plenty of DIY manuals around to guide you through the processes but only tackle what you feel you have the basic skills for. And you must be prepared to give up the time to do it. You must take your time on these jobs, otherwise you may find you've completed sub-standard work. Then, of course, you'll have to pay someone else to put it right and you will have wasted the materials. You will find that a builder will add on 20 % to your final bill to manage the project. You can manage the building of the extension yourself by liaising with designers Credit: justthething.co.ukor architects and the local authority. You can also trawl the local Yellow Pages for tradespeople. Make sure you get references to confirm they are not cowboy builders. You know basically how you want the finished extension to look so you are the best person to direct the work. Most extension building will have 20% VAT on labour and materials. However, if you use self-employed tradesmen who turn over less than the threshold for VAT registration, you will not be charged VAT, thus saving on labour costs. If you buy second-hand materials advertised on the Internet they will be also free of VAT. If your building extension is on or near the boundary of a neighbour, your building extension will need to comply with the Party Wall Act. If you have a party wall settlement then you could incur costs of around £600 and even more if they use their own independent surveyors. Try to get an agreement in writing and avoid surveyors. Keep your neighbours informed of what you are doing at every stage, discuss your plans with them, and be considerate about any concerns they may have. Imagine you are the neighbour and they are building the extension! If you are building an extension Credit: buildingdiy.com that is simple and low-cost then choose a designer who will produce drawings for a fixed price. Make sure your designer has a proven record of designs for low-cost , simple extension building. You may be able to avoid submitting a design for planning permission for an extension if it falls within permitted development rights and, of course, save money. There are cowboys in every trade and if you are project managing the building yourself you need to be aware of these people. Approach several builders and ask for extension quotes from all of them.Those who give you the least breakdown of costs may have plucked a figure out of the air whilst a ridiculously low extension quote may be to draw you in before they demand more money at a later date. To avoid a costly experience, insist on references from these builders and check out their earlier work. Never pay a builder in advance unless with a protected account. Wait until the work has been completed and you are entirely satisfied with it. In this climate of tight economic conditions it is advisable to reuse materials where possible. You can recycle doors, old floorboards, kitchen units and bathroom materials by cleaning them up and giving then a new finish. If you can't reuse some of the items then sell them. The money you make will, again, save on you overall costs. Buying salvaged items from salvage yards or the Internet can save money as can buying second-hand items. Second hand items offering good value are bricks, roof tiles, internal doors, fireplaces and floorboards. Research where those in the trade buy their materials from and try to get trade prices for your building extension materials. Check if they will offer a trade discount for cash. Get a receipt for the purchases as this is a good way of keeping a close eye on what you are actually spending on the project. If you bulk buy from the same supplier you may be able to negotiate a better discount and reduce delivery costs. You can also save a lot of money by buying end-of-line deals like carpets, kitchens or appliances. Shop around for the best deal. Building an extension will take a lot of detailed pre planning, a great deal of research to find the best suppliers and tradespeople and close reference to DIY Manuals. Most of all you will need time and patience.But building an extension will give you years of added pleasure and a great deal of satisfaction knowing that you were involved in the project at some level, either as the labourer, the Project Manager, the decorator, or the researcher. You will have also avoided the worry of wondering whether you would have eventually sold you property in its original state! Very helpful article. And yes you are right more and more people are staying in their home and either building upwards where possible or adding extensions. We rebuilt our garage and took the wall out to our bedroom and made a massive bedroom out of it. Then we added another large room on the back with extra bathroom. Within 6 months we sold and moved because our kids shifted. So you never know what is in store for you. Thanks for your kind comments. Sounds a bit like us,this house doesn't need any work so we're moving to one we're renovating! Logical-or what? Thanks for this and congrats on your feature. We had a planning application knocked back a couple of years ago and now I'm wondering if we should look at permitted development rights - something I wasn't aware of - as it wasn't huge. I know people who have been rejected locally, modified their plans and been rejected a second time. They have then gone to national appeal and been successful. I suppose the practical side is often more straight forward than the legal requirements! Very interesting article. My husband and I have had several houses built for us over the years. I think it is very exciting to see something you dreamed of take shape. Congratulations on being featured. Its definitely the right way to stamp your own identity on a property and get exactly the style you want. Thanks for taking the trouble to comment. Very interesting article! Congratulations on being featured. I bought a small house on a large lot just to be able to add on. Maybe one of these days I'll be able to get started on my project. Thank you for your support. Your purchase shows great foresight. Land is so valuable these days. You'll save a fortune by extending on your own land and not moving to another property. I think being both organized and thorough in all aspects of the build should pay off in the end! Thanks for commenting.